Take the pledge to show your commitment to keeping your Cats Safe at Home. Do you keep your cat safe at home? You're precisely the kind of person we need! Help spread the word. By your example, we aim to encourage our community to think about their role in caring for the environment starting with their own dear kitty! We'll send you a window decal (pictured on left) to display on your car windows, living room windows or your ukelele! 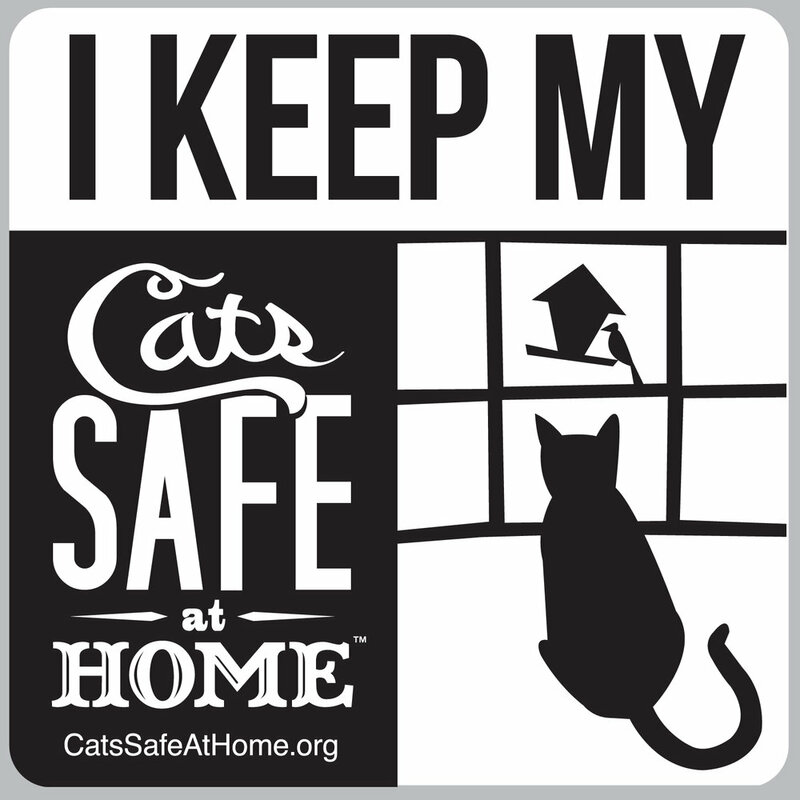 The goal is to let everyone know you keep your Cats Safe at Home. Let's bring this conversation to light and talk about how we can do better for our cats, birds & wildlife. I PLEDGE to keep my cats safe at home. I keep my cats indoors, and may provide access to a catio or fully fenced yard or offer walks on a leash. Please fill out the section below so we can send your decal. Tell us how you keep your cats safe at home! Your contact information will be kept confidential and you will not receive contact from Cat Safe at Home partner organizations unless specified by you.